With one week remaining, the Consortium Kickstarter is just a few steps away from its goal - and if you don't know what Consortium is, allow me to explain. 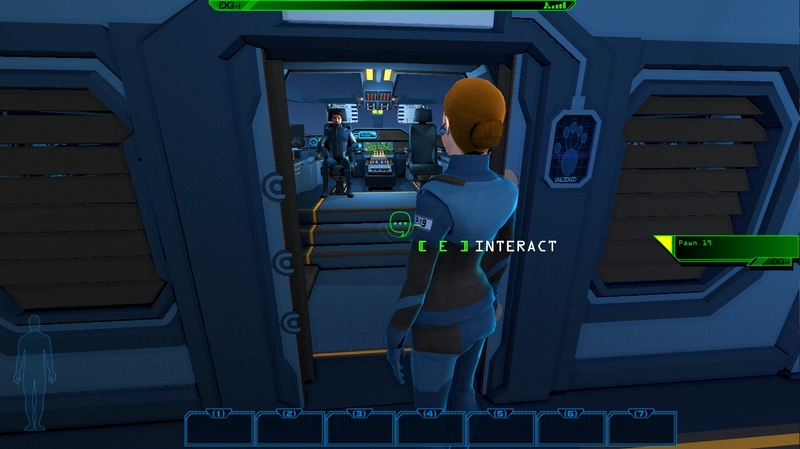 Consortium is a tricky thing to nail down. It's a first-person RPG-shooter in which you literally play as yourself - not as a videogame character but as you, transported to a future world that's similar to yet distinctly different from our own, thanks to some interdimensional techno-hoodoo cast by the iDGi-1 satellite. 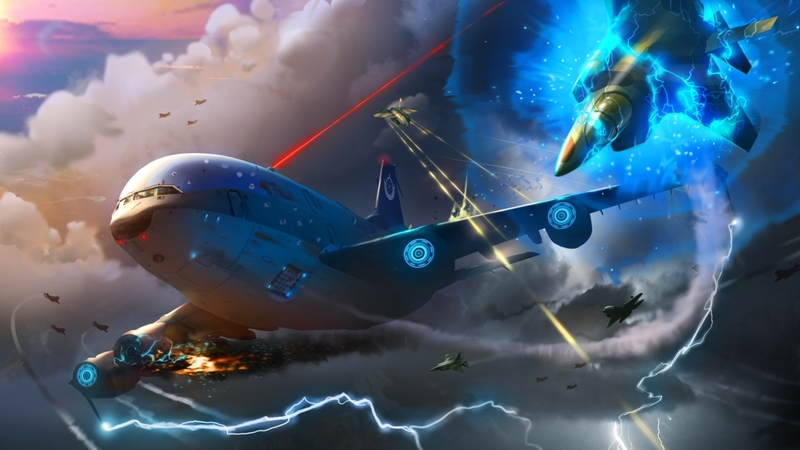 You will become a "Bishop" in a powerful peacekeeping Consortium, one of a crew of 17 on a massive flying fortress embroiled in a murder mystery, international intrigue and other hijinks. 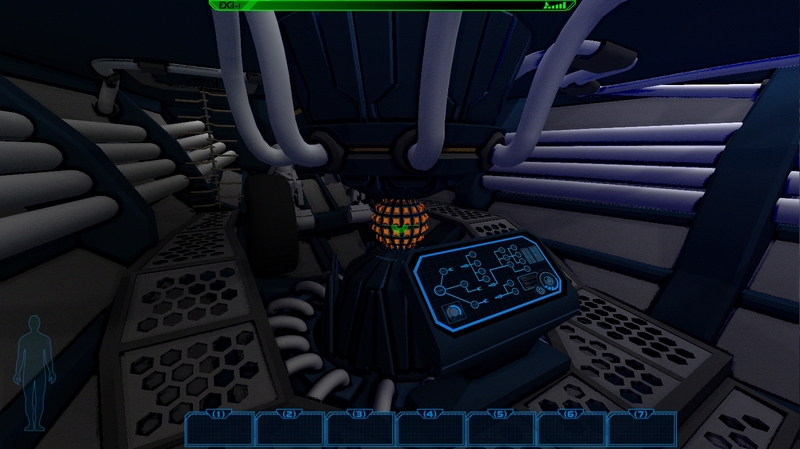 One of the more unique features of Consortium is that instead of taking place in a huge, sprawling world as is the norm with most RPGs, it's set entirely within the "dynamic, bustling, interactive and alive micro-environment" of the C-3800D "Zenlil," the flying Consortium Command Vessel. Even so, there are between 3000 and 3500 lines of dialogue and an estimated six to eight hours of gameplay, which could be stretched to 15 hours or more if you really work at it. I sunk some time into a preview build last night, which was very impressive but also rough enough that it left me concerned about the planned July launch date. The game is heavy on non-violent character interaction and when it works, it works well, but it's such a delicate and tightly choreographed dance that things inevitably trip up now and then. Lead Designer and Producer Gregory MacMartin, who has worked at companies including Cavedog, Electronic Arts, Relic, Turbine and Radical Entertainment, admitted that the release schedule is tight but said it's an estimate based on the current state of the game and "how focused and driven we are as a team." 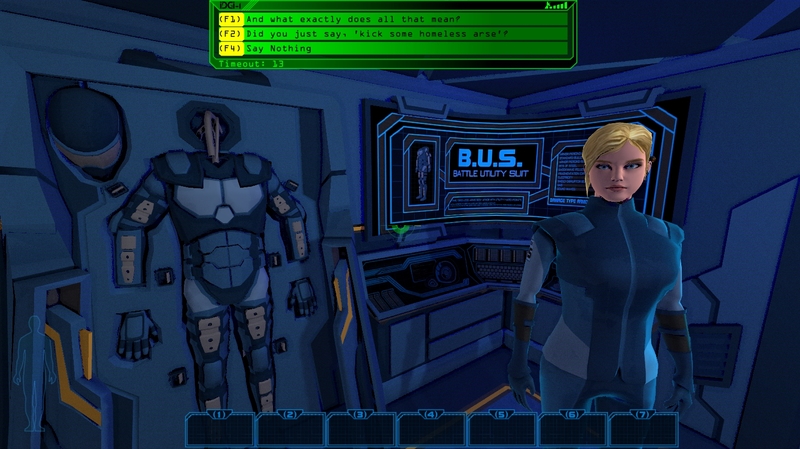 "If you had seen our build in December compared to the demo you played, I think you would understand. Even during this Kickstarter campaign, we have fixed dozens of glaring issues that were still in the demo we packaged and uploaded a couple weeks ago," he told me. "All that being said, outside of the specific date that the Kickstarter deliverables are set to, we have been generally saying 'this summer' as our release date, with July being an estimated and optimistic goal that we are working very hard towards." Consortium actually has its basis in a free alternate reality game that began back in 2010, and while experience in that game isn't necessary to enjoy this one, it is possible to go back to the beginning and catch up to the present day. Reflecting those deep narrative roots, the game can be played in either Story or Action modes, ensuring it's as accessible as possible to gamers of all stripes. And despite being a very indie project, noted composer Jeremy Soule, whose work includes the soundtracks to Skyrim, Star Wars: The Old Republic, Prey, Duke Nukem Forever and dozens of others, will be providing the music. "Jeremy worked with me on Amen: The Awakening at Cavedog Entertainment, and again on scoring Harry Potter and the Chamber of Secrets," MacMartin said. "We are very close friends and believe in many of the same principles, including the extreme importance and power of music in storytelling, and how much more can be done with games in this regard." 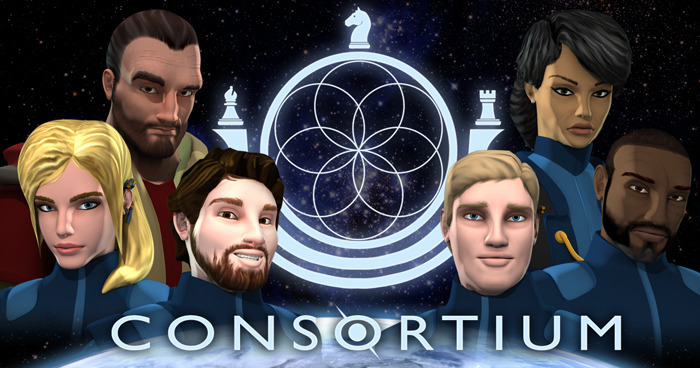 The Consortium Kickstarter ends at 3 pm EDT on April 18, and yes, that's just one week from today. It looks almost certain to make it, with less than $1400 separating it from its $50,000 goal at the time of writing, and while 50 large doesn't sound like much of a budget for a heavily-simulated, eight-hour RPG, the Kickstarter page points out that "this is not just an idea, or the outline of a project; it is a game that will be complete in just a few months." 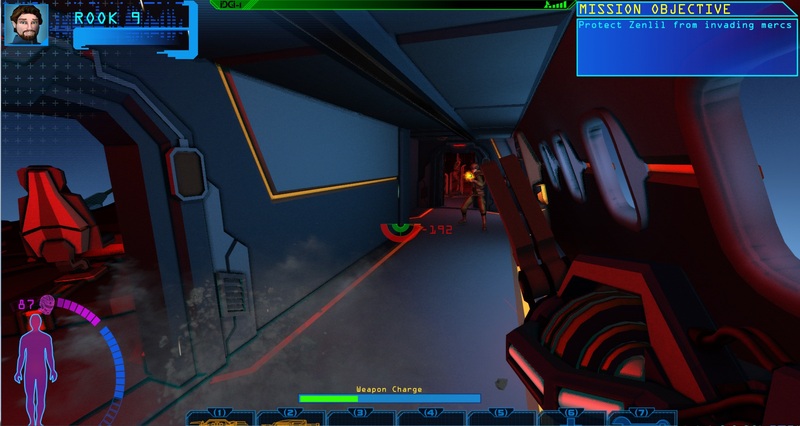 The Interdimensional Games team actually launched a Kickstarter campaign for Consortium with a $200,000 goal over the 2012 holiday season, but canceled it when it failed to gain traction. "$200,000 would be a dream amount for us, as we would be able to restore cut features and content that we would love to see make it into the game, which was the original intent of the first campaign," the team explained. "With $50,000, the entire team would be able to spend three additional months finishing and polishing the game AND be able to feed our families and power our computers at the same time. Some business expenses needed for being able to sell the game would also be covered, and of course we would also be able to produce the t-shirts, posters and other swag we're offering here." This is the point at which I issue my standard "buyer beware" Kickstarter boilerplate and warn that no matter how cool you think it is, you shouldn't support the project, or any crowdfunding effort, with any more money than you can afford to ball up and throw at unruly children. That said, this is definitely one of the more intriguing game projects I've run into recently and what's on display in the demo, while far from fully baked, is very promising. If you're looking to sink some money into somebody else's idea, you just might want to give this one some attention.